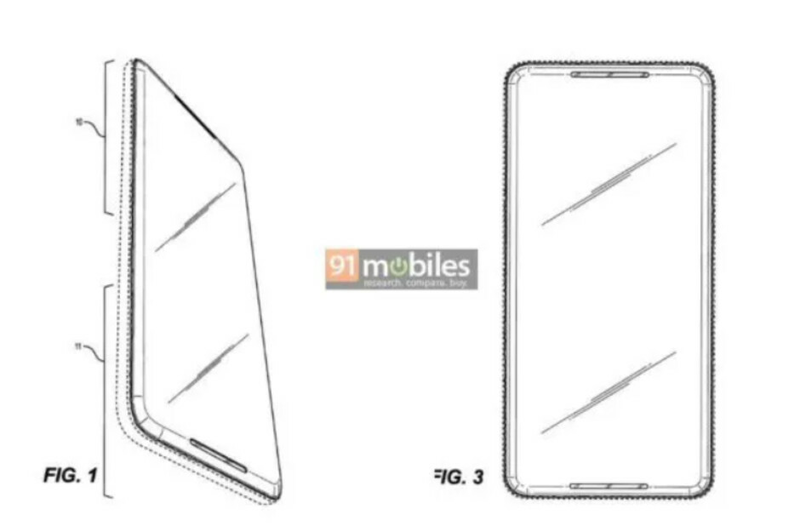 Just over 24 hours after one particular patent hinted at the possibility of an all-screen Google Pixel 4, a new patent has now been uncovered which also points towards the idea. This time around, though, the design retains one popular feature. As opposed to adopting a front panel design complete with unrealistically-thin bezels, as envisioned yesterday, this particular implementation features bezels that are more or less on par with Apple’s iPhone XS line and the upcoming Galaxy S10 series. But unlike both the former and the latter, there is no sight of a notch or a display hole. As a direct result of this, it currently remains to be seen how Google would implement its recent dual-camera selfie setup on a smartphone with such thin bezels. Nevertheless, the internet giant does appear keen on retaining its popular front-facing stereo speakers. In fact, the device envisioned includes a pair of wide speaker cut-outs along the very edge of the top and bottom portions of the display. In contrast to yesterday’s patent, this one doesn’t provide a glimpse at the smartphone’s rear design. Considering the design was filed way back in September of 2017, though, any rear sketches would probably be irrelevant by now – yesterday’s patent showed the Pixel 2 XL’s rear design. In regards to future implementations, it seems Google is certainly taking the idea of an all-screen Google Pixel seriously. But whether the internet giant greenlights such a design for production is another matter. 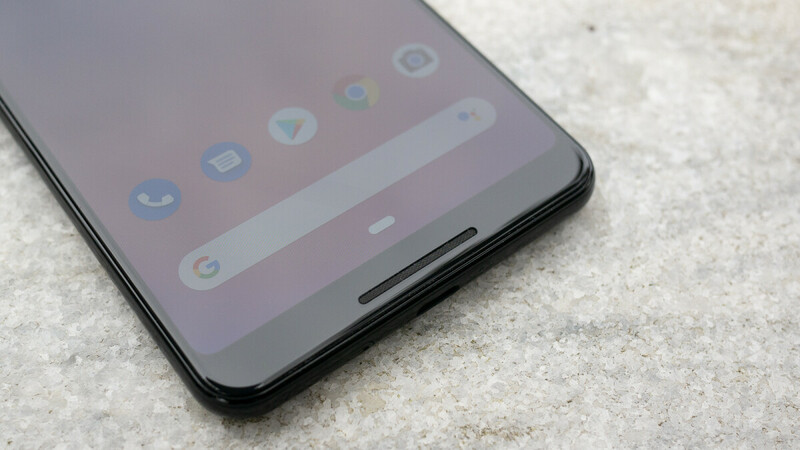 If it does choose to do so, however, the next-gen Google Pixel 4 is an extremely likely candidate. Pixel phones are boring. Maybe this will change that. I think thats the point of the Pixel. Especially if you look at the first pixel design. It was an iphone without a home button. The first pixel looked a bit like an iPhone ,but the Pixel 2 and 3 are quite unique looking phones. I currently have an s6 edge and sim cards don't work on it anymore so I need to get a phone soon, I was gonna get the s10 lite but now I really want to wait for the pixel 4, what oled phone that's not big or tiny should I get for now while I wait? They have Daydream VR, they have fast AI chips on board with their own embedded ram. The Pixel 2's AI chip could operate at 3 trillion operations per second, the Pixel 3's can operate at over 4 trillion operations per second. The Pixel 3's have two front facing cameras. See of those so called gimmicks can be installed from the the play store. The pixels have the hardware. It's just what you want to do with that hardware. Only reason why pixel phones are sold because of camera and software. It's funny how they don't focus much on aesthetic design of the phone. Come on google. Please make this design. You all have the best software for obvious reasons, but get your design crap together!! Give it a sliding selfie camera module (I rarely use it anyway, so tuck it safely out of the way), wireless charging, and fix the million bugs...and I might consider it - only if it doesn't have in screen fingerprint scanning. Well Google it's your last chance. Bring something awesome or I'm jumping ship. Automatically, this will be a POS because Google and HTC dont believe in releasing software that's at least 85% complete. Google has punch of HTC engineer behind these phone project, so expect to see a huge bezel. if you look at there pass pixel and you can see HTC m7/m8 signature still retain somewhat.